I’ve had a weird, wild rollercoaster ride of a life. My career has certainly brought its fair share of highs and lows along the way, but the insanity started long before I became a writer. In fact, this story takes us all the way back to 1979, the year before I fell in love with travel. It all started with Ms. Greene, the chorus teacher at Snapfinger Elementary School. She was a cute young thing with an infectious passion for music and teaching, and I was a shy 11-year-old schoolboy with a love of singing and a HUGE crush on her. I auditioned for the lead male solo in our school Christmas production and somehow got it, but when it came time to stand up and sing in front of hundreds of my classmates I broke into a nervous sweat, my voice cracked, and everyone laughed at me. I was mortified and embarrassed, but Ms. Greene kept telling me what an exceptional voice I had. I had a smile so wide you could’ve landed an airplane inside it. Perhaps more importantly, she told my mother (who had been in bands and choruses for most of her life), suggesting I should audition for the world-renowned Atlanta Boy Choir. It was a huge cattle call that attracted over 2,000 hopefuls, who were gradually winnowed down into smaller and smaller groups (think a ’70s version of American Idol). Finally, we sang for Maestro Fletcher Wolfe himself, first in groups and then solo, until he’d heard enough and sent us on our way. 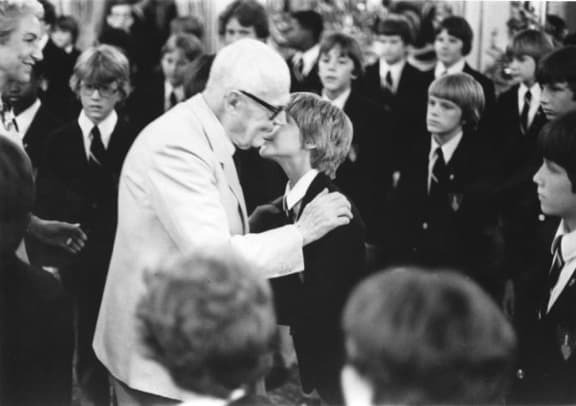 To make a long story short, out of those 2,000 boys, five were given the honor of going directly into their prestigious touring choir, including me. 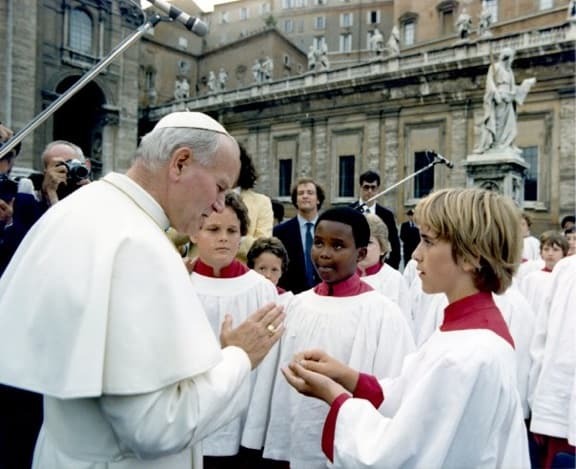 Immediately, we learned that the following summer I would embark upon a trip that would change my life– a 3-week tour of Italy culminating in a performance for Pope John Paul II in the Vatican. I did not come from a family of means. We took fun little regional trips to Florida; the North Carolina coast; and to hike parts of the Appalachian Trail. But, prior to my grand Italian adventure with the Atlanta Boy Choir, I’d only been out of the Southeast once (a trip to see my great-grandparents in the Southwest when I was a toddler), and had never been out of the United States. Suddenly, I found myself being chaperoned by President Jimmy Carter‘s aunt, performing for Italian President Alessandro Pertini, and getting an immersive tour of Italy most people only dream about. Though it was 30 years ago, the memories are still remarkably fresh in my mind. Seeing iconic landmarks such as the Leaning Tower of Pisa, the canals of Venice (and our playful gondolier), the ruins at Pompeii and the Roman Coliseum. The way the sound reverberated so perfectly in the historic cathedrals in which we performed, including the Basilica of St. Francis and the Sistine Chapel. 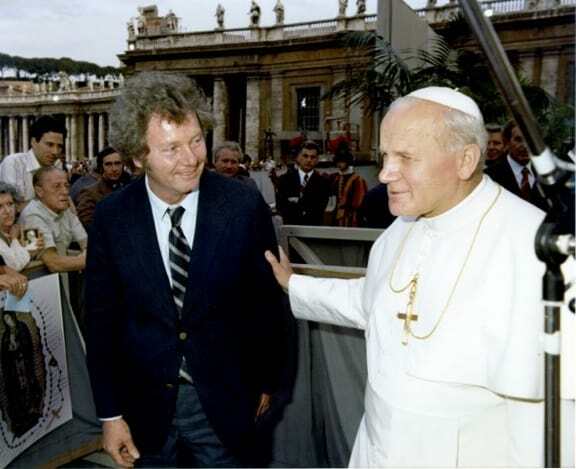 But none of it can compare with the feeling as we marched, two by two, into the heart of Vatican City for a special audience with Pope John Paul II. I was raised in the Episcopal Church and was studying to become an acolyte, so for me the Pope was a big deal. 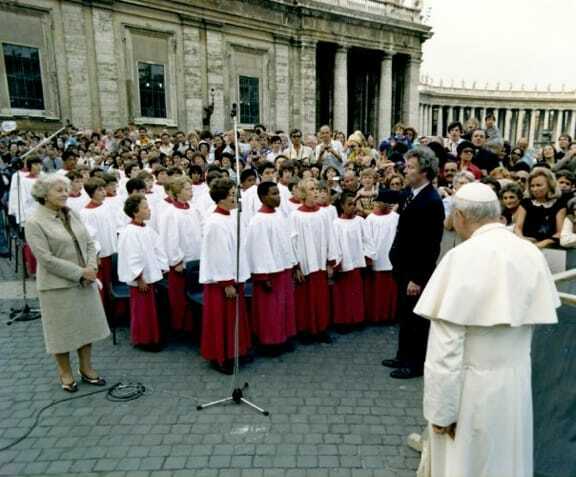 Though we had performed for sold-out audiences at Atlanta’s Symphony Hall, nothing can prepare you for the madness and mayhem of performing in the Vatican, where throngs of the devoted (I’ve heard estimates ranging from from 50,000 to over 200,000 people there that day) make pilgrimage to hear the Pope speak, ask for healing blessings, and… well, basically, shriek like 14-year-old girls at a Justin Bieber concert. 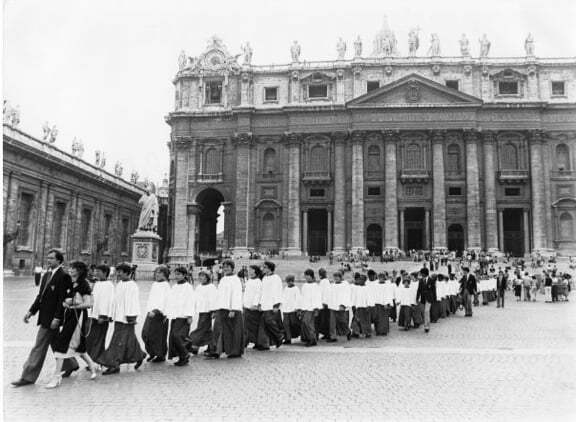 The thing I remember most of all is “The Battle Hymn of the Republic.” Pope John Paul II entered Vatican City in what we called The Popemobile, which was essentially like a classy parade float on which he sat surrounded by bulletproof glass. As The Popemobile slowly circled Vatican City to allow everyone to get a good look at the Pope, the Boy Choir sang “The Battle Hymn of the Republic” 27 times! Eventually he arrived at the dais and addressed the crowd, but I was so nervous that I don’t remember a single thing he said or what songs we sang, only the remarkable hush that fell over the crowd as we sang them, and the hordes of people pushing up against the barricade just to my left. It was all surreal, and overwhelming, and fantastic! Afterwards, the Pope slowly made his way through the Choir, talking to various boys, giving his blessings and shaking hands. I was shy, so I hung back near the seat where I had stood for our performance, completely in awe of his presence and my proximity. But he made his way over to me nonetheless, shook my hand, and when I showed him the cross I wore around my neck he made the sign of the cross, said “Bless you, my son,” and smiled. It’s hard to explain what I felt in that moment, but it was peaceful and moving in a way I’ve never quite understood. Even though I’m not religious today, recalling that moment can still bring tears to my eyes and joy to my heart.